The Papo Archaeopteryx measures approximately 2.5 inches tall and it's wingspan is 5 inches. Archaeopteryx means "first bird" or "original bird". Although many dinosaurs are now known to be feathered, this species was one of the landmark discoveries in paleontology at the time. 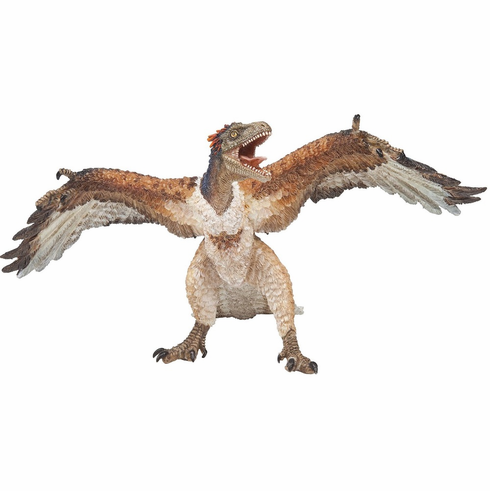 The Papo Archaeopteryx #55034 is part of the Dinosaur series by Papo.